Steve Carell remaking Peter Sellers? 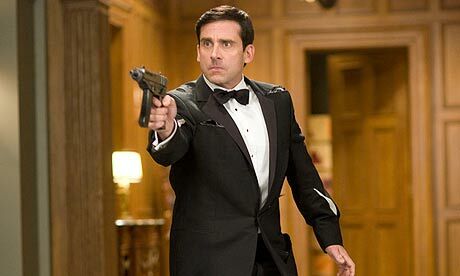 A rumour is going around that the 1967 Peter Sellers/Britt Ekland comedy The Bobo is getting a remake which will star Steve Carell (Get Smart) and Eva Mendes (The Women). The original British comedy, which was based on a novel by Burt Cole, tells of a matador who dreams of being a singer and is promised a big break if he manages to seduce the most beautiful girl in Barcelona. You can view a clip from the original here. This entry was posted in American Films, British Films, Celebrities, Remakes and tagged Barcelona, Britt Ekland, Burt Cole, Eva Mendes, Get Smart, Peter Sellers, Steve Carell, The Bobo, The Women by Mr Hollywood. Bookmark the permalink.